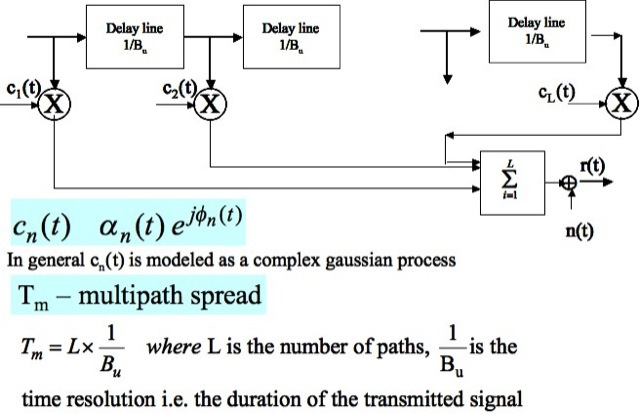 Linear Time-Variant model: multipath and doppler spread. Tapped Delay Line Channel Model. Coherence Bandwidth and Coherence Time. Ionospheric propagation in the HF band. 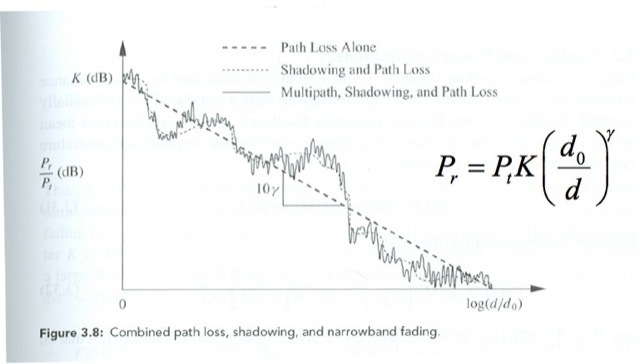 Loss due to slow fading effects (distance scale is in the order of 50-100 m – shadow fading). Loss due to short range fading: distance scale is in the order of λ/2 (<10m). 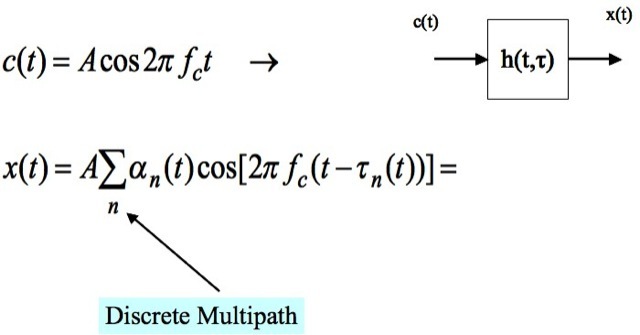 Time dispersion due to multipath. 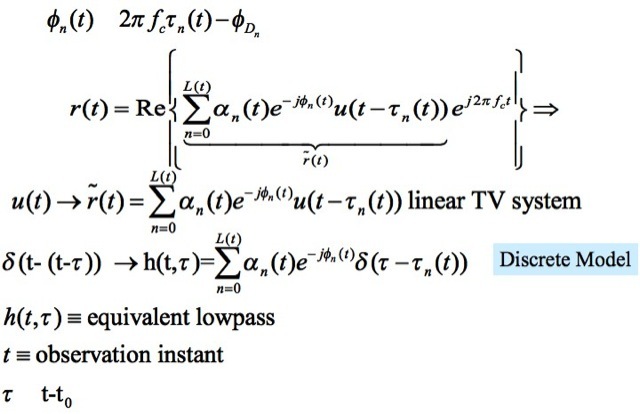 Frequency dispersion due to radial mobility between TX and RX and/or to variability of the propagation channel properties (time-variant) → linear time-variant model. The nth distinguishable path can be generated by a single scatterer or by a cluster of no-distinguishable scatterers. The paths are not distinguishable and the contributions combine in a single path (cluster of scatterers non- distinguishable). Wideband channels (Bu>>1) have distinguishable paths → each term in the sum corresponds to a reflection or to a cluster of non-distinguishable paths. If each term is due to a cluster of scatterers, αn(t) changes noticeably with the distance because of the phase changes of the single non-distinguishable contributions. Narrowband Fading : TM << 1/Bu ≅ T → non- distinguishable paths. where L is the numbers of paths, is the time resolution i.e. the duration of transmitted signal. The phases Φn can give rise to constructive or destructive contributions that weaken or strengthening the amplitude of the transmitted signal, namely the presence of fading effects. |z(t)| models the variation law of the attenuation. The variability measure of z(t) allows us to valuate the amount of spectral dispersion. If Bd <<Bu → the channel can be assumed to be stationary since the spectral dispersion is negligible with respect to the signal bandwidth Bu. The signal duration is much smaller than the temporal scale TC of the channel variation.